Loose the treadmill. Instead, crank up your favorite country song or hold firmly to some battle rope. 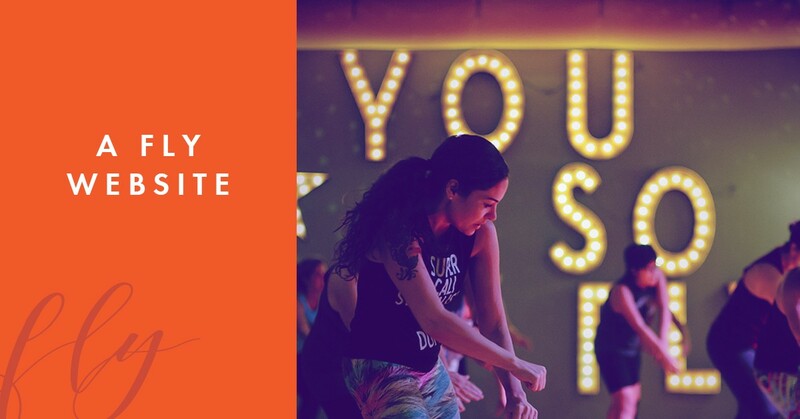 Because Fly Dance Fitness is the place you go to exercise, in ways you didn’t think counted as such. Cue the line dancing, booty shakin’, and barefoot yogi lifestyle (minus the confusing jargon). With this, they’ve created an athletic environment that’s fun. So cheers to the fitness hater; the all-too easily bored exercise junkie; and anyone in between: Fly Dance is probably the place for you. Amy Buck, Owner of Fly Dance approached Think Donson in need of a site revamp. So, how do you take the energy of a company like Fly and translate it into a website? We had a couple of ideas. First: the colors. We took the existing orange from their logo and added an equally as exciting hue of purple. Though we wanted to portray “fun”, we didn’t want to go overboard. To accomplish this, we used the purple sparingly throughout, and treated the photos with similar tones so they would balance out. Through and through, the site is now “fresh, faster and more user friendly,” says Amy. Visit Fly Dance Fitness here.